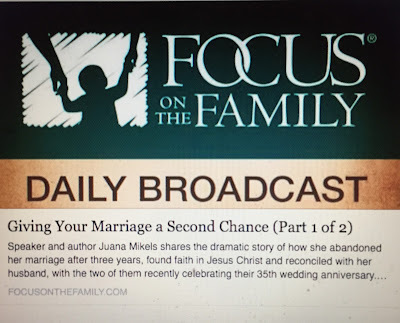 JuanaMikels.com: Hearing Stormie Omartian & Wednesday's Prayer Girls & LinkUp Party! 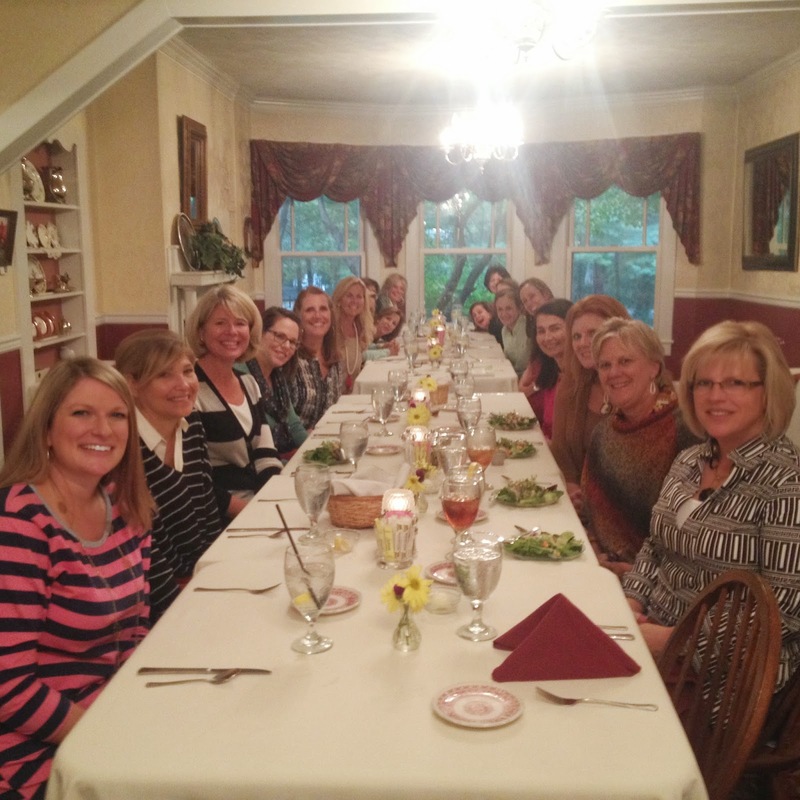 Hearing Stormie Omartian & Wednesday's Prayer Girls & LinkUp Party! 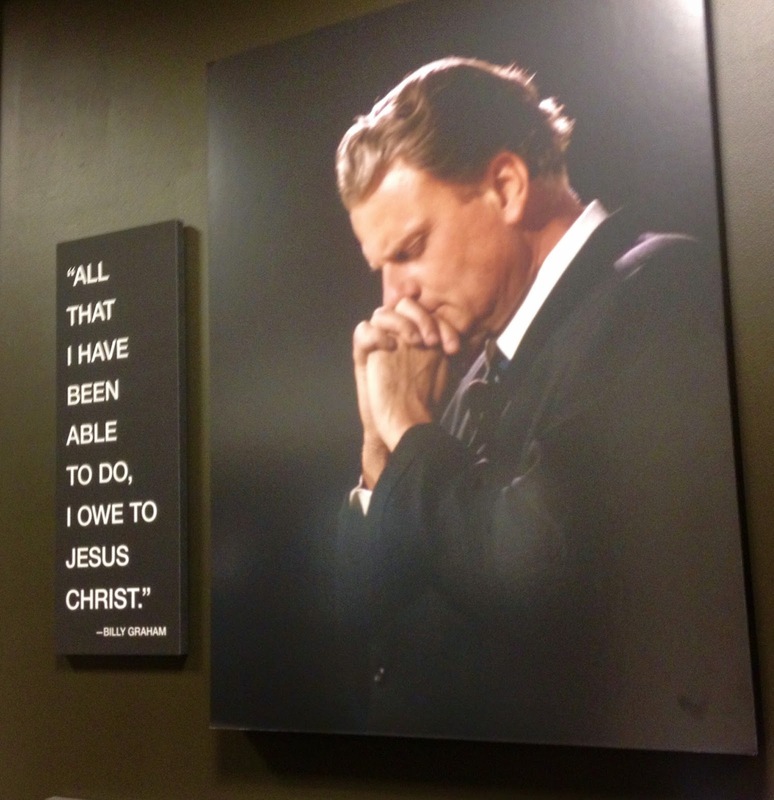 There is a photo gallery area with photos and quotes from scripture and from Billy Graham. The speaker we went to hear was Stormie Omartian. I have read her books on praying for your husband and praying for your children but I had never heard her give her testimony. 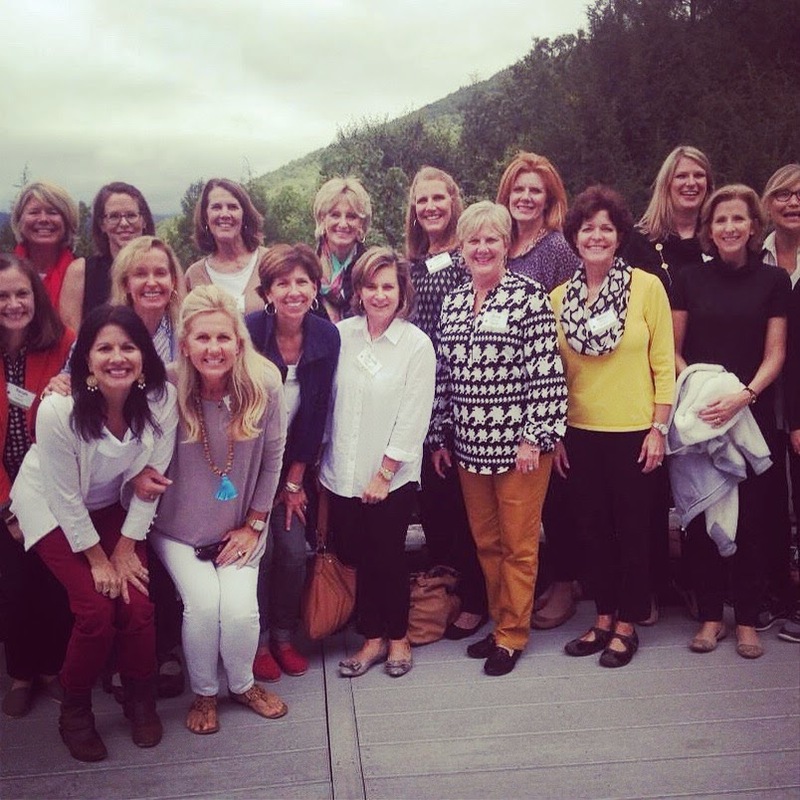 Stormie told all the women gathered (and it was a bunch, 400 or 500 and we broke the Cove's record for the number of people to attend a retreat!) her very sad childhood story. Her mother was mentally ill, and locked Stormie in a closet for much of her childhood. At twenty-five she didn't want to feel pain anymore; she had an unsuccessful suicide attempt. At twenty-eight, she planned another suicide attempt to look like an accident. A friend told her it was who you know that counts, Jesus... and Stormie began to have hope and to attend church. 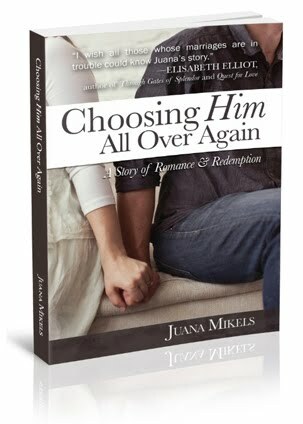 He counselor told her to rid of all that was not of God in her life. Stormie had faced depression every day of her life and couldn't imagine life without depression. Her counselor said renounce any involvement she had had with the occult and to confess unconfessed sin (including forgiving her mother). The depression she had had all her life lifted away and never came back, until her first child was born and she couldn't deal with the crying. She felt the baby's crying reminded her of her mother's rejection and she wanted to throw the baby! But she learned to go away from the baby's crying and toward the Lord. The Lord wanted to heal her heart. As Stormie thought of the pain caused by her mother, she learned that forgiveness doesn't make the other person right, it makes you free. You are free to release that person! She also learned she didn't have to be a perfect parent, (she had no role model growing up for a good parent) she just had to tap into God's power by being a praying parent. Don't let where you are become a prophecy of where you're going to stay. God makes sure of His light in us by testing it in the dark. We don't have to know it all, we just have to know Him. Greatness is about His greatness in us. It's not about us being great. Don't ignore the prompting of the Holy Spirit. If the Spirit impresses upon you to do or not do something, do it or don't do it. Stormie said to listen to God's Spirit and to do what He says like stopping even when you don't want to and it makes no sense. 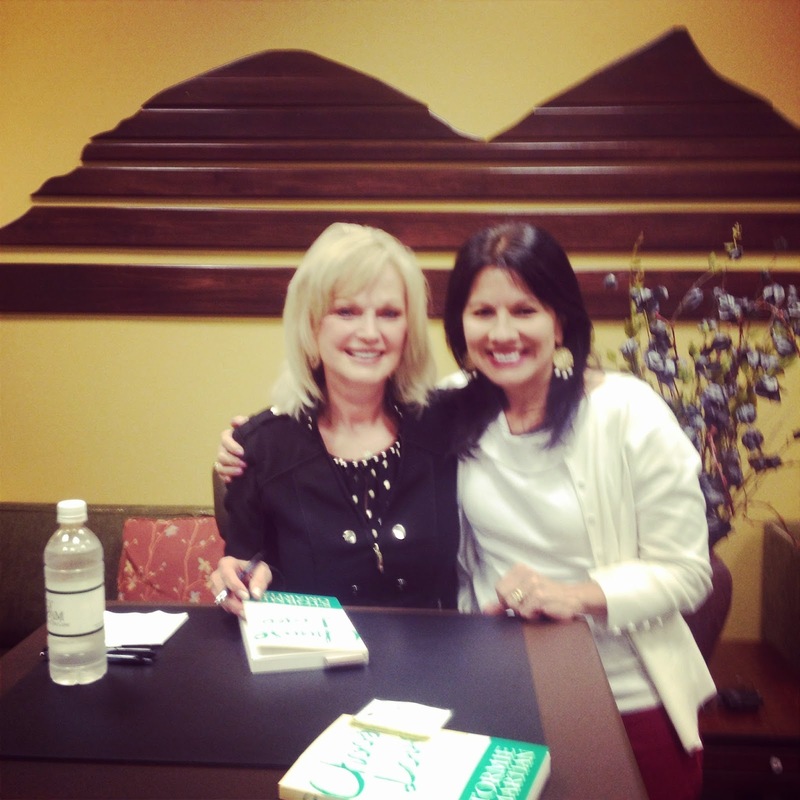 When I had a chance to later meet Stormie after she had finished her talks, I asked her if God had ever prompted her to do something she really wanted to do like, "Stormie, buy that beautiful dress!" She said, "Oh yes!!!!!!" Oh how our little group loved the fellowship of being with like-minded believers, and then hearing solid Bible teaching from Stormie. As wonderful as it was on the mountain top, I knew that God wanted us to come down off the mountain and to have grown in character there. It is not always just to "learn" something as wonderful and as useful the points are that I just gave you. He want us to make us into something. Oswald Chambers says it best, when he says that we are not built for the mountains (those are for inspiration) but for the valleys. We always want to repeat the mountain experience, to go back to the mountain. Chambers says, "We are apt to think that everything that happens is to be turned into useful teaching, it is to be turned into something better than teaching...into character. The mount is not meant to teach us anything , it is meant to make us something. The moments on the mountaintop are rare moments, and they are meant for something in God's purpose." Oh, how beautiful the mountain experience is, but we are not to stay there. We were made to be valley people. Oh Lord, may my life be different in the valley and resemble more of Your character, for having gone away with You to the mountaintop. 8. Are you a parental hypocrite? 9. Headlines: "Honesty has been outlawed"
10. "Ill just sin . . . then ask for forgiveness"
16. How Can YOU Help This Girl? 18. BOAST in the LORD! 20. Activities for a Christian Halloween! Please pray as I lead the choral boosters meeting tonight for my daughter's high school that we will have a good turnout, & that they will be drawn to Christ in me (& in time know of Who is the Life & Way) even as we discuss public school related items. Pray our new meeting location turns out to be a positive move in the Dunkin Donuts! Stormie said we tap into the power of God through prayer. The secret to the power is prayer! What can I pray for YOU or your loved ones? Father God, we lift up the Choral Boosters meeting tonight at DD. People at DD need You just like everyone else, so we ask that You make Yourself known tonight even though this is a public school event. 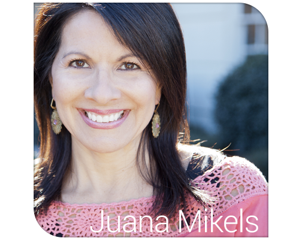 We pray that there will be a great turnout and that they will be drawn to You through Your Child, Juana. Thank You Father! In Your Precious Son's Name, Amen. I love what you had to share about your experience. It seems God always has you out on some sort of great adventure. Thanks for giving this busy mama a glimpse into the fun and what God is teaching you through it all. What a dear thing to say, Dana but most of the time I am not on an "adventure" as they are so very rare, and not the norm! I bet it looks like they are the norm when I write about them within the same month but most of the time I am cleaning up something I spilled, washing clothes, driving my daughter somewhere, thinking about what I can make for supper, helping my husband with something, wondering if the leftovers will go around for all, going to the store, and cleaning up something else I spilled!! I have often pondered mountain top living and felt that if I had missed going through valleys I wouldn't have been changed by grace and love the way I have. I appreciate the mountain top views, but the valley also has such beauty. I love the quote by Oswald Chambers you shared. That is going into my quote book today! Oh how I love Oswald Chambers! I can't wait to talk with him in heaven on how his writings pointed me so much to Christ. Yes, we live in the valley and that is where God wants us to work out our faith. That is our real life!!! Loved the blog post today. I guess it is a good thing to be a Valley Girl! We were blessed this Sunday to attend Libby's Baptism. Please pray for God to open our son's eyes to his family. Our hearts hurt because we don't get to see them and Libby often and it hurts. My husband actually said on Monday that he missed Libby. And for him to say something is a lot. Continued prayers for Stuart as he has a Dr's appt on the 22nd. Yes, we are Valley Girls! You are funny, Jana:-) So glad you had such a happy morning at Libby's baptism. I know just to be there was a blessing. 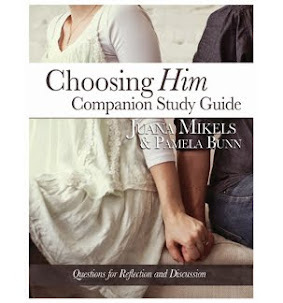 Let's pray, Jana. Lord, I lift up sweet Jana to you. FIrst we lift up her son, Stuart. She loves him so much, yet You love him infinitely more because You made Stuart. We entrust him to Your keeping Lord. Guide the doctor on the 22nd to truly help Stuart so he can live the abundant life you desire for him. As for Libby Lord, You know that the Hagans would love to just get to see their little grandbaby more. Lord, could you help them to help their son and daughter-in-law by maybe offering a night of the week to babysit so they can go out to dinner, with them scooting out right away so the young couple can rest and not feel they have to entertain their in-laws. 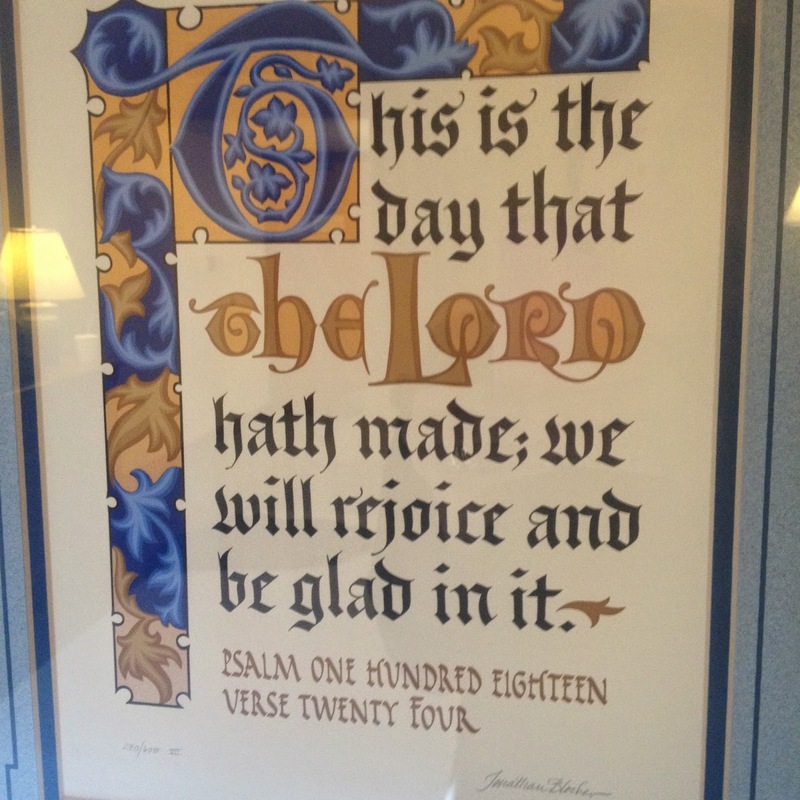 Lord, maybe something else? We give this situation to You, Lord, and leave it in Your hands. Amen. Thank you! We have offered and offered. Even got our flu shot (which we never do and never get the flu either) and our Tdap shot. We have been praying that God would open our son's eyes and see that his family is important too. It's not about any "agenda" it's about knowing and being able to love Libby. Hello Please pray that I stay on track with God first , my school work, my job and that my son graduate s from high school this year. Oh, I'd love to pray for you, Rhonda. Please update us on the current Wednesday LinkUp when you can. Dear Lord, I lift up my sister, Rhonda that I am meeting today for the first time. Lord, You made her and had all her days written in Your book before she was even born. Give her strength Lord that only comes from You, to keep her focused on just what you would have her to be focused on. Help her to keep You uppermost in her heart, and all other things will be added to her as well as You say in Your Word. Help her in her school work and job, and help her son also to finish strong and graduate from high school. May he too, put You first Lord, and serve You all the days of his life. In Jesus' name, Amen.